An extremely clear flexible spiral interlocking floating hose. Identified with blue spiral, made from Ethyl Vinyl Acetate. The ducting is crush resistant and operates under good vacuum. Application: For swimming pool cleaning. 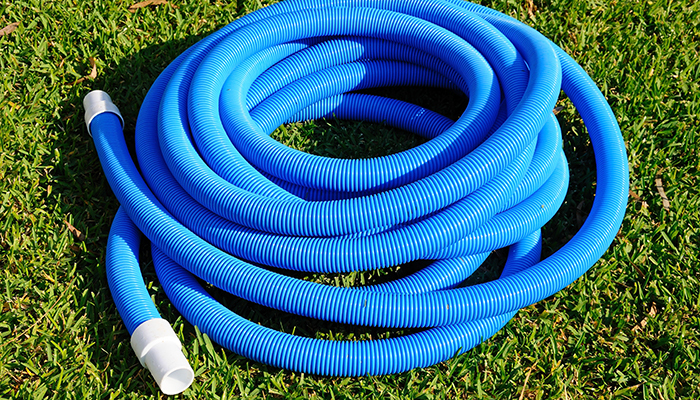 The hose has excellent floating properties.